Rounds 5 and 6 saw the Northern teams assemble at the Palace Hotel a week before their counterparts in the South are due to continue their campaigns. The venue is new to the 4NCL and we were delighted to discover from the Tourist Information that, "The Hotel is set in stunning grounds ideal for team building, wedding photographs or relaxing with a drink on a leisure break". 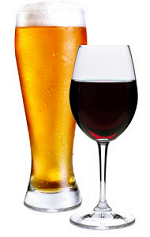 As team building and relaxing with a drink are key elements of our preparation this seemed a highly promising venue. And so, despite being surprised to find that the water supplied in the rooms is of the Highland Spring variety rather than the legendary water of the Spa town of Buxton and witnessing a certain fading of the Victorian elegance of the Hotel we enjoyed the experience. The attentive courtesy of the staff and the spacious playing rooms leave a positive and lasting impression. We were keen to maintain the momentum built up in the earlier rounds but were fully aware that the opposition lying in wait would test us to the full. The B team faced number 3 seeds in the Northern League, Cheddleton 2, in round 5 and the same opponents were up against the A team in round 6. Bradford B were the A team's opposition in round 5 and Jorvik were the B team's opponents in round 6. Saturday saw the whole squad under pressure, and as in the previous rounds there were no cheap points on offer here. After a couple of hours play the A team seemed clearly on top in Brett Lund's game on board 1, John Hall's game on board 5 and Andy Smith's game on board 6. On board 3 I had slipped into a somewhat passive position against Roger Jennings having been outplayed in the opening. Nick on board 2 and Martin on board 4 were involved in ding-dong battles. Nick's queenside pawn majority seemed to guarantee a won ending but as has often been observed, before the ending the gods have placed the middle game, and Nick was facing a big centre that was starting to trundle forward. Martin's game saw lively play round the central squares and although Martin seemed to hold an edge the lack of pawn cover round each king made an exact evaluation problematic. The match gradually unfolded: Brett completed a fine attack to put us one up; I escaped with a draw and John Hall slowly but surely stripped away opponent Jim Nicholson's defences round his king which was stuck in the middle The end followed swiftly. Martin slipped into a snap mate spotted by his alert opponent Richard Allis. Andy and Nick were taken the full distance by stubborn opponents and each ground out a deserved victory. Each was among the last three games of the round to finish. The 4½-1½ victory was hard fought and only late on became inevitable; we knew we had been in a match. The B team found life with the black pieces very hard against their experienced opposition although we had hopes that Richard Bryant might make something of his lively piece play obtained at the cost of a pawn. Dave Robertson even had the nerve to win opponent Gerald Acey's queen for a rook and bishop but Dave's resulting passivity was very hard to handle. With Steve also losing the end result was that we scored no points with black. With White we fared better: Peter Ackley on top board may have been rather better against Paul Wallace but any advantage was minimal and there were few prospects of progress for either side. Andy Mort seemed to have positional pressure for a pawn against Alex Richardson but Alex worked out the tactical nuances to break through to Andy's king. The last game of the match to finish was also the last of the round: Michael Johnson pressured Colin Davison for five and a half hours before the pressure became intolerable. Victory arrived for Michael and a more realistic gloss was put on the match result. 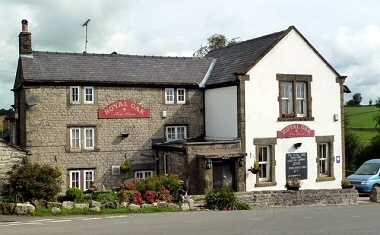 Michael was bundled into a car and took his place with the assembled squad at the Royal Oak on the Derbyshire moorland. This proved another successful venture into the unknown, although typical of his thorough approach, Entertainment Secretary Dave Robertson had sent Assistant Secretary Andy Mort to the pub some weeks before to sample the fare. The company was able to confirm Andy's favourable report and a leisurely meal with suitable liquid support and cheerful conversation was enjoyed by one and all. The return to the Hotel saw a small contingent grace the bar for the traditional nightcap and the scene was set for the final round of the all-Northern section of the third division. The 6th round brought a tremendous response to the Captain's exhortation for two winning matches. The B team moved purposefully to comply with this demand, Richard Bryant leading the way with an impressive display of controlled aggression after tricky opening jousting. His conversion to an easily won ending put us one up. Gradually the draws came in in support of Richard's bridgehead, solidly from Steve Connor and John Hall and not quite so solidly from Dave Robertson and Andy Mort. This left Michael Johnson in play probing for victory which duly arrived after some 5 hours play, making the match score 4-2. Michael was not however the last in play on this occasion, as will become clear in the following. The early action in the hall had featured on the A team with Peter Ackley scoring an early solid draw with the black pieces on board 5. Andy Smith seemed to have a slight but promising edge after a lively opening skirmish on board 6 but an error by his opponent allowed a simple combination which the ever alert Andy played with aplomb, winning a piece and the game on the spot. After these two games there was a long wait for further results as the top four boards settled into battle. The most difficult of these from our point of view was my game against Alex Richardson after I had emerged from the opening with little compensation for a pawn deficit. However, my position had some resilience and I got counterplay as Alex tried to finish me off. Unexpectedly it was his position that fell apart as the crunch arrived. There is no obvious explanation for this win except that, well, I was wearing my lucky socks. Martin and his opponent Gerald Acey pushed their possibilities in the rook ending [four pawn islands v one for those who like the unusual] to the limit before setting up a situation where neither could realistically continue and a draw was agreed. Thus the top two boards remained in play. Before the matches started it had been suggested jokingly that Nick might like to continue this week his rook and pawn master class started the previous weekend while we waited for Michael to complete his anticipated long game. Nick actually outlasted Michael but produced the master class "live" from an apparently unpromising situation, squeezing out the win [this was definitely a Magnus tribute performance]. Nick's win came in just under 6 hours. Brett on top board got into the seventh hour in producing our game of the weekend against Paul Wallace. His was also an interesting rook and pawn ending, this time with our man a doubled pawn up following a tense opening and a complex middlegame. The 5-1 victory may have flattered us but it represents our best performance to date. And so the Northern League heads South to join battle with the Southern teams. We are proud to head the Northern League table and wish our Northern rivals good luck in the coming battles. Less than 6 weeks to go! We look forward to continuing the intense yet friendly rivalry that characterises the 4NCL in all its forms.